In accordance with federal regulations, all recipients of federal financial aid must maintain a satisfactory rate of progress toward the completion of a degree (i.e. pace) and must be in good standing based on a cumulative grade point average (GPA), regardless of whether financial aid was received previously. A Guilford College student is maintaining Satisfactory Academic Progress (SAP) towards the completion of a degree if he/she is meeting standards according to the measurements listed below. Students are evaluated annually at the end of the spring semester to determine if they are meeting these requirements. Financial Aid Programs: All federal programs to include loans, grants and work study, NC State grant programs, outside programs offered from other states and private organizations and institutional aid. Earned and Attempted Credit Hours: Satisfactory Academic Progress uses credit hours to measure both the pace and maximum timeframe requirement. It is important to understand the difference between the two types of credit hours. “Earned” credit hours are courses in which the student receives a letter grade of “D” or higher or “CR” in a Pass/Fail course. “Attempted” credits are courses in which the student enrolls and remains enrolled after the add/drop period of each semester – even if the student later withdraws or fails the course. Courses dropped during the drop/add period defined by the college at the beginning of each term are not counted as attempted hours. Pace Requirement: Both undergraduate and graduate students must earn at least 67% (no rounding up) of the credits attempted each semester. A full-time student who attempts 16 credits in a semester must successfully complete 10.72 credits to maintain their pace requirement (16 credits x .67 = 10.72 credits). Maximum Time Frame: The maximum period in which students may receive financial aid based on the degree program in which they are enrolled. Students have a maximum period of 150% of the credits required to complete the program to remain eligible. Bachelor degree program that requires 128 credits to graduate will have a total of 190 attempted credits allowed, not to exceed six calendar years from the beginning of the initial semester including periods of non-enrollment. Graduate degree program that requires 40 credits to graduate will have a total of 60 attempted credits allowed, not to exceed 4 calendar years from the beginning of the initial semester including periods of non-enrollment. There are limited appeals or extensions of the 150% maximum time frame rule. Students may continue to receive limited federal financial aid assistance and will also be able to apply for private loan funding or participate in a tuition payment plan for their educational expenses. Cumulative Grade Point Average: The grade point average calculated at Guilford from all credits taken. The required minimum cumulative GPA requirement is 1.6 for students who have earned 53 credits or less. The required minimum cumulative GPA requirement is 1.8 for students that have earned 54 to 86 credits. The required minimum cumulative GPA requirement is 2.0 for students that have eared 87 credits or more. A cumulative GPA of 3.0 must be maintained. Frequency: Satisfactory Academic Progress will be evaluated at the end of the spring term regardless of whether the student received financial aid in that enrollment period. Students not meeting SAP requirements will be notified by letter and an email sent to their Guilford College account. If a student fails to meet SAP, they will immediately be placed on financial aid suspension. Financial Aid Suspension: Suspension of financial aid eligibility occurs the semester immediately following the spring review period. Under suspension, a student is not eligible for federal and state financial aid. In addition, students will lose their eligibility for Guilford College scholarship or grant aid. Students have two options to reestablish their federal and state financial aid eligibility. Submit a completed Satisfactory Academic Progress Appeal Form. Maximum Time Frame Suspension: Any student who has exceeded the maximum time frame requirements for the appropriate degree program will be placed on a maximum time Financial Aid suspension. Students in this group will be required to appeal and provide the Office of Financial Aid with an academic plan that has been approved by their Faculty Advisor. The academic plan must be followed as prescribed and will be reviewed at the end of each semester until graduation from Guilford College. Students will not be permitted to receive institutional grants or scholarship unless approved through the Office of Financial Aid in conjunction with the institutional scholarship or grant provider’s approval. In most cases, aid will be limited to federal financial aid only.  Notification: Letters explaining the SAP status along with instructions on the appeal process will be mailed to the student’s permanent home address on file with Guilford College. It is recommended that students keep their permanent home address up to date with the Registrar’s Office. Email notifications to the student’s Guilford College email account will also be sent. Incomplete Courses: Courses for which a student receives a grade of “I” are included in the number of attempted credits but don’t count as earned credits for SAP calculations. It is the responsibility of the student to notify the Office of Financial Aid of all grade changes once complete. A review of satisfactory academic progress can’t be conducted until the incomplete grade is changed, therefore the student will be considered ineligible for financial aid. Audited Courses: Courses in this category do not count as credits attempted or earned. Financial aid is not awarded for classes taken on an audit basis. Repeating Courses: All repeated courses affect financial aid SAP calculations. Regardless of whether the student received financial aid or not, all repeated coursework must be counted as attempted credits. The grade earned in the repeated course is the grade that determines the student’s cumulative grade point average. No additional credits will be considered as earned credits for repeated courses for which credits were earned previously. Before registering to repeat a course, a student should verify that he or she is eligible to do so according to Academic Policy. 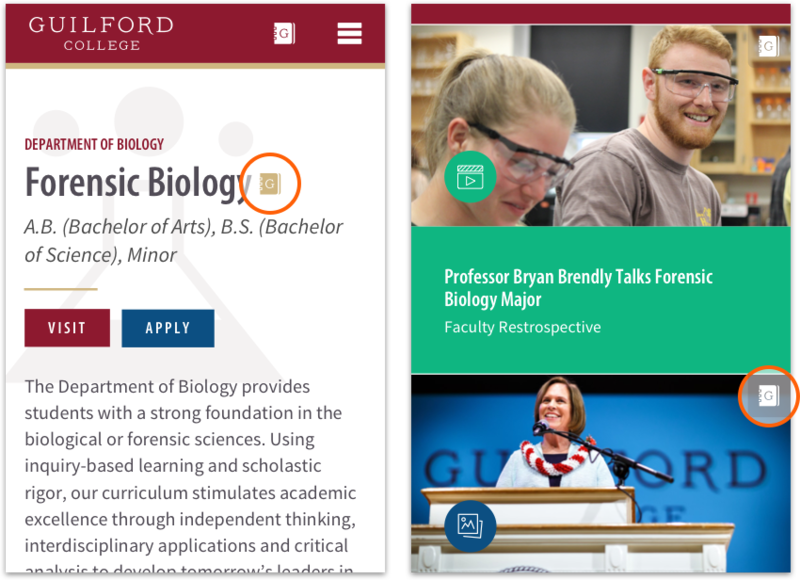 Only courses repeated at Guilford College can improve the student’s cumulative grade point average. Withdrawals: Courses for which a student receives a grade of “W”, “WP”, WF” are included in the number of attempted credits but do not count as earned credits for SAP determination. Transfer Credits: Credits transferred from other institutions are included in the total number of credits attempted and completed but are not factored into the cumulative GPA. The appeal of a financial aid suspension is a separate process from an appeal of academic suspension. The two processes are not related and approval of an academic suspension does not automatically remove the suspension from financial aid. Students who wish to appeal must complete and submit a Satisfactory Academic Progress Appeal Form together with all required documents. The Office of Financial Aid reserves final authority in SAP appeal decisions. If the appeal is approved, the student will be placed on financial aid probation. SAP appeal forms received without appropriate supporting documentation, or appeals that contain or reveal conflicting information, will be not be reviewed until either all documentation is received or the conflicting information is resolved. SAP Appeal Notification: The student will be notified by email to their Guilford College email account. The student should carefully review the SAP appeal notification which will outline the unique, individualized SAP requirements that the student must meet in order to maintain eligibility for federal and state financial aid. 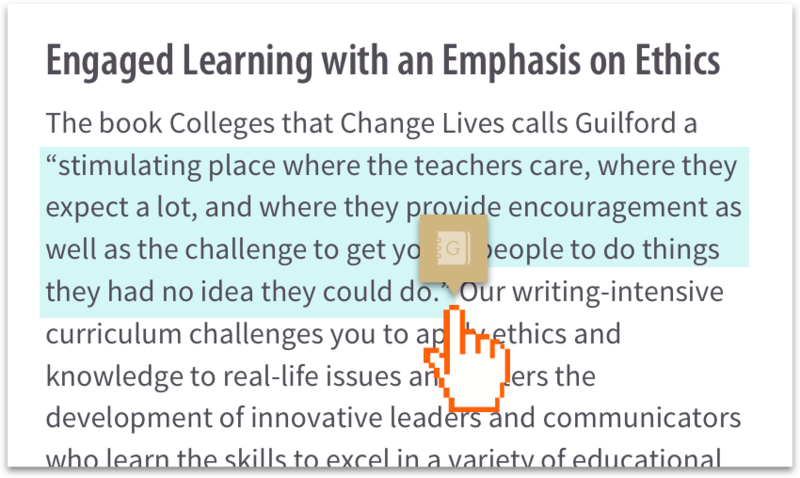 It is possible that the student will still lose their eligibility for Guilford College scholarships or grants depending on the requirements of those programs. This status is assigned to the student who has successfully appealed their financial aid suspension and had their eligibility for aid reinstated. The reinstatement under probation may not be for more than one term of enrollment. If a student fails to meet the minimum SAP requirements at the end of their probation period, the student is placed back into financial aid suspension. The student is not permitted to appeal this suspension unless there is a new and different circumstance that meets the definition of the acceptable circumstances discussed earlier in the policy. Any new approved appeal will only be approved for one term of enrollment and the student would be placed back into financial aid probation. If it is statistically impossible for a student to meet SAP after one term of Financial Aid Probation, an academic plan will be required to span over two semesters. If a financial aid probation period is granted based on an academic plan, the student must meet the terms of their academic plan after each semester to continue their financial aid probation period. If the terms of the academic plan are not met after each review, the student will have their financial aid suspended for the proceeding term.